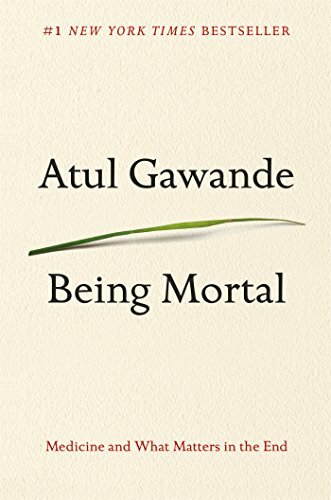 Life's single guarantee—death—unifies this nonfiction list of great reads. Death touches all of us and eventually happens to all of us. But these books demonstrate that death also humbles us, teaches us, intrigues us, evades us, inspires us, grosses us out, and makes us laugh. Source: American Library Association Booklist. What if the place you called “home” happened to be a funeral home? 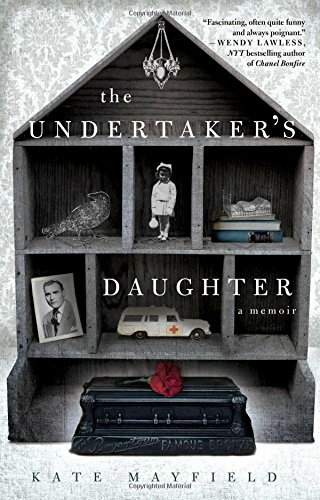 Kate Mayfield explores what it meant to be the daughter of a small-town undertaker in this fascinating memoir evocative of Six Feet Under and The Help, with a hint of Mary Roach's Stiff. Kate's father set up shop in a small town where he was one of two white morticians during the turbulent 1960s. Jubilee, Kentucky, was a segregated, god-fearing community where no one kept secrets—except the ones they were buried with. By opening a funeral home, Kate's father also opened the door to family feuds, fetishes, and victims of accidents, murder, and suicide. The family saw it all. They also saw the quiet ruin of Kate's father, who hid alcoholism and infidelity behind a cool, charismatic exterior. As Mayfield grows from trusting child to rebellious teen, she begins to find the enforced hush of the funeral home oppressive, and longs for the day she can escape the confines of her small town. In The Undertaker's Daughter, Kate has written a triumph of a memoir. 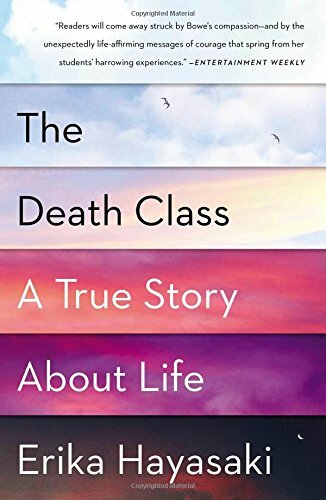 This vivid and stranger-than-fiction true story ultimately teaches us how living in a house of death can prepare one for life. 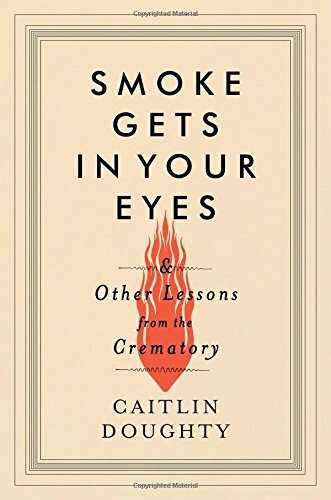 Most people want to avoid thinking about death, but Caitlin Doughty―a twenty-something with a degree in medieval history and a flair for the macabre―took a job at a crematory, turning morbid curiosity into her life's work. 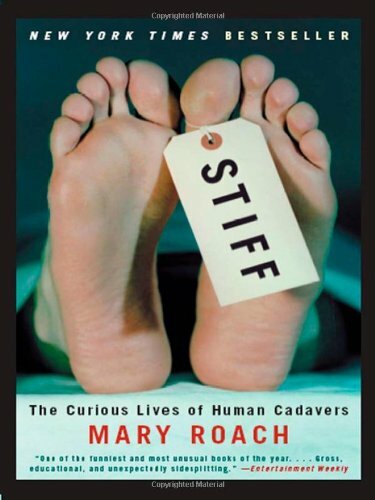 Thrown into a profession of gallows humor and vivid characters (both living and very dead), Caitlin learned to navigate the secretive culture of those who care for the deceased. For almost twenty years I mistook my father's downfall as my own. But it wasn't. It was not my sister's either, nor my mother's. A literature professor at La Salle University, Andrew Meredith's father was fired after unspecified allegations of sexual misconduct. It's a transgression Andrew cannot forgive, for it brought about long-lasting familial despair. 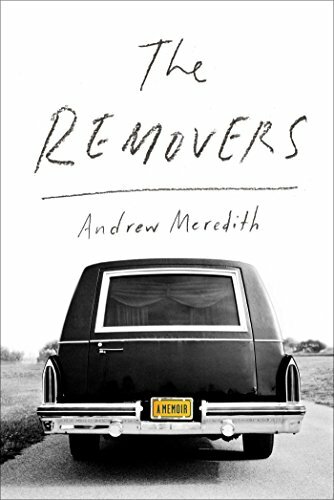 In the wake of the scandal, Andrew's parents limp along, trapped in an unhappy marriage. Meanwhile, Andrew treads water, stuck in a kind of suspended adolescence—falling in and out of school, moving blindly from one half-hearted relationship to the next, slowly killing the nights drinking beer and listening to music with his childhood friends. Sheri Booker was only fifteen when she started working at Wylie Funeral Home in West Baltimore. She had no idea her summer job would become nine years of immersion into a hidden world. Reeling from the death of her beloved great aunt, Sheri found comfort in the funeral home and soon had the run of the place. With AIDS and gang violence threatening to wipe out a generation of black men, Wylie was never short on business. 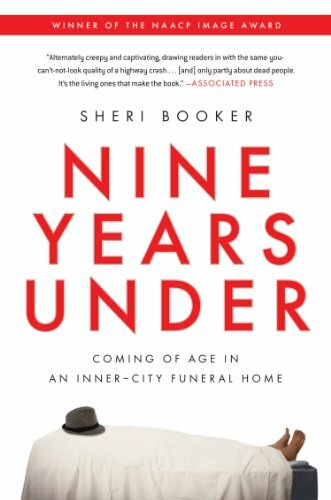 As families came together to bury one of their own, Booker was privy to their most intimate moments of grief and despair. But along with the sadness, Booker encountered moments of dark humor: brawls between mistresses and widows, and car crashes at McDonald's with dead bodies in tow. While she never got over her terror of the embalming room, Booker learned to expect the unexpected and to never, ever cry. Nine Years Under offers readers an unbelievable glimpse into an industry in the backdrop of all our lives. 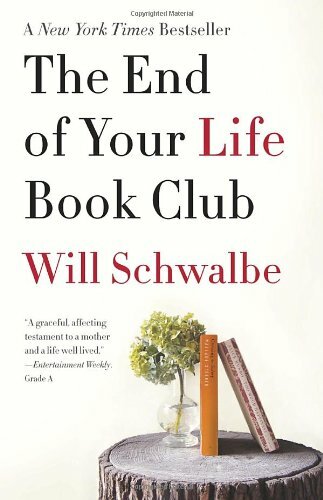 The poignant, “powerful” (The Boston Globe) look at how to appreciate life from an extraordinary professor who teaches about death: “Poetic passages and assorted revelations you'll likely not forget” (Chicago Tribune). Hayasaki's expert reporting and literary prose bring Norma's wisdom out of the classroom, transforming it into an inspiring lesson for all. In the end, Norma's very own life—and how she lives it—is the lecture that sticks. “Readers will come away struck by Bowe's compassion—and by the unexpectedly life-affirming messages of courage that spring from her students' harrowing experiences” (Entertainment Weekly). To Williams, life in the mortuary is neither grim nor frightening. 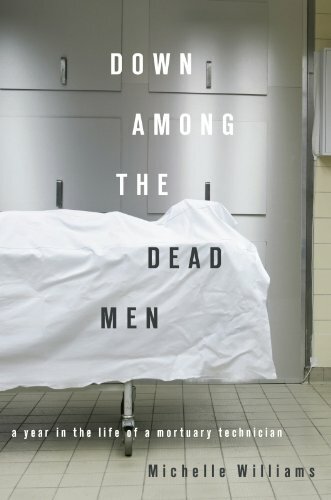 She introduces readers to a host of unique characters: pathologists (many eccentric, some utterly crazy), undertakers, and the man from the coroner's office who sings to her every morning. No two days are alike, and while Williams's sensitivity to the dead never wavers, her tales from the crypt range from mischievous to downright shocking. Readers won't forget the fitness fanatic run over while doing nighttime push-ups on the road, the man so large he had to be carted in via refrigerated truck, or the guide dog who led his owner onto railway tracksand left him there. The indomitable Williams never bats an eye, even as she is confronteddailywith situations that would leave the rest of us speechless.